Heyyy friends!! Thanks for popping back in on my little blog here! 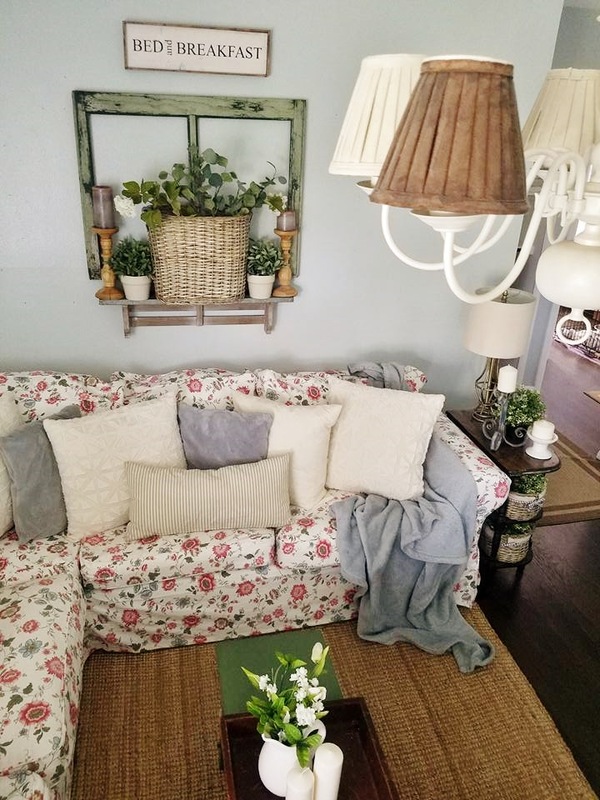 As I've been slowly making changes to our upper living room something dawned on me..I was actually prepping for summer with small touches & didn't even realize it! 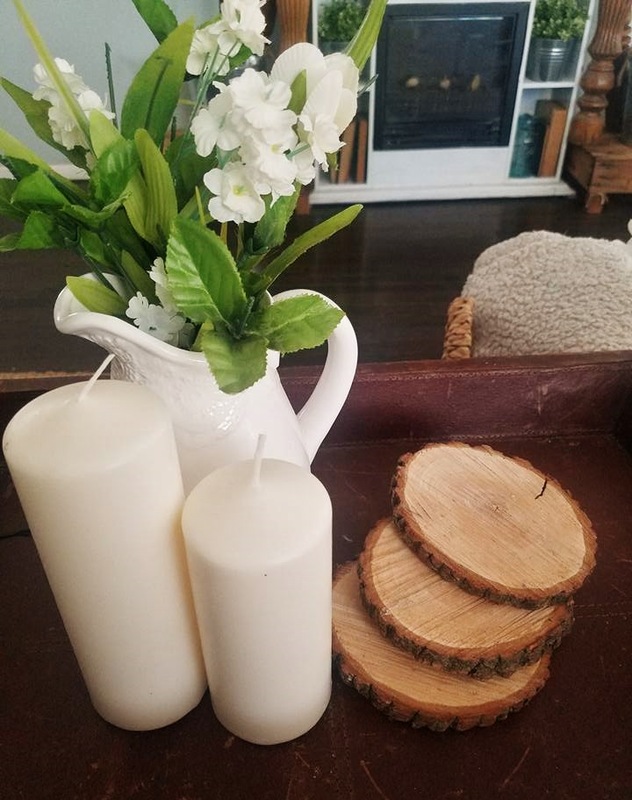 I don't think I do this every year, but who knows..It's some of the most random things,but I've noticed it can make a huge difference to lighten up a space for warmer weather etc.. Today I thought I would quickly share 5 ways I change up our little suburban cottage for warmer weather with some simple tips! I've got about a million things to do today which include logging business invoices, cleaning, finishing some blog stuff, purging goods for when we move etc.. & hopefully washing my hair at some point hahah..I swear it's the little things lately that have me going crazy & wanting a more simple approach to everything haha! 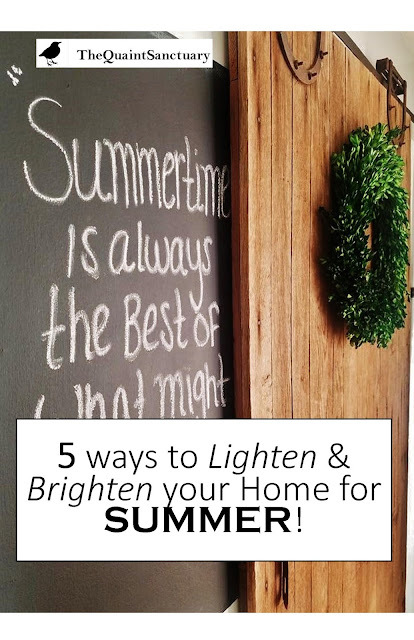 Anyways, come read my five easy tips to lighten & brighten your home for the warmer weather upon us! 1. Use Lighter Curtains/Pillows & Throws! This is something I switch out a lot in our home! I'm constantly changing curtains out because it's a simple fix & can either warm a space up our help make it feel airy & light! Sheers are some of the best ways to help a space "breathe" with still adding a bit of texture/ layering or even privacy! For pillows I like to get rid of or put away any heavy quilted style throw pillows, faux fur etc..Same goes for throws! 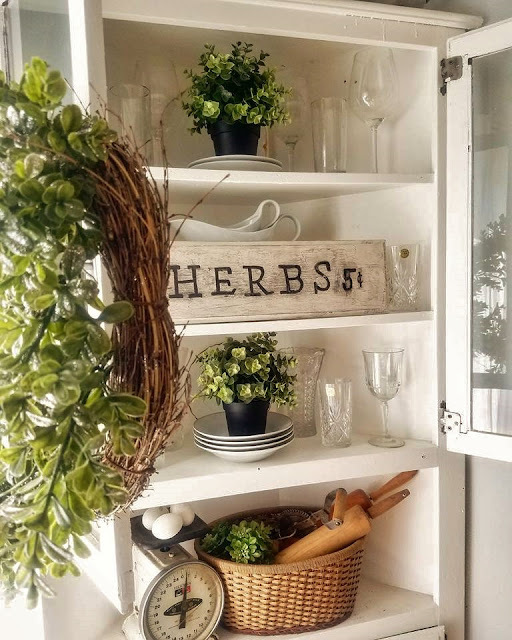 This is such a given to most people in the "blogland" but for those who struggle with decorating for seasons, occasions etc.. this can be just what a space needs to feel cozy or bright & on the cheap! I add faux & real plants throughout our home. For summer greenery in the rooms are a must..It's like bringing the outdoors in & who doesn't look the outdoors in the summertime?? I'm a candle lover to begin with, but for summer I love to add simple scented candles to gathering areas etc.. These white ones I have here are from @homegoods & smell like vanilla & lavender! They bring the outside in with the lavender scent & help keep it still cozy with he vanilla mixed in! 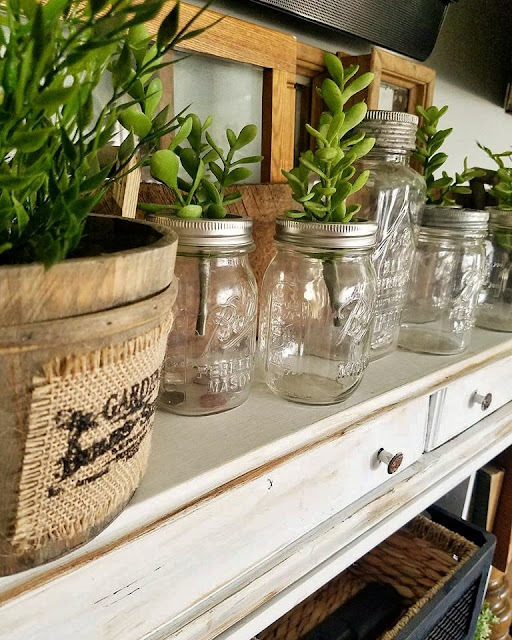 Super affordable & a simple way to add summery scents throughout your home easily! 4. Add Signs or Quotes! Ahh my love for signs & quotes has been strong these last couple of years! They add that cozy touch with meaning & can basically be placed anywhere in your home! I love using our chalkboard wall in our dining room to add simple quotes etc..
5. Adding Color/ Floral Prints! This tip isn't new to me, but new in terms of adding color & floral to one of our personal spaces! 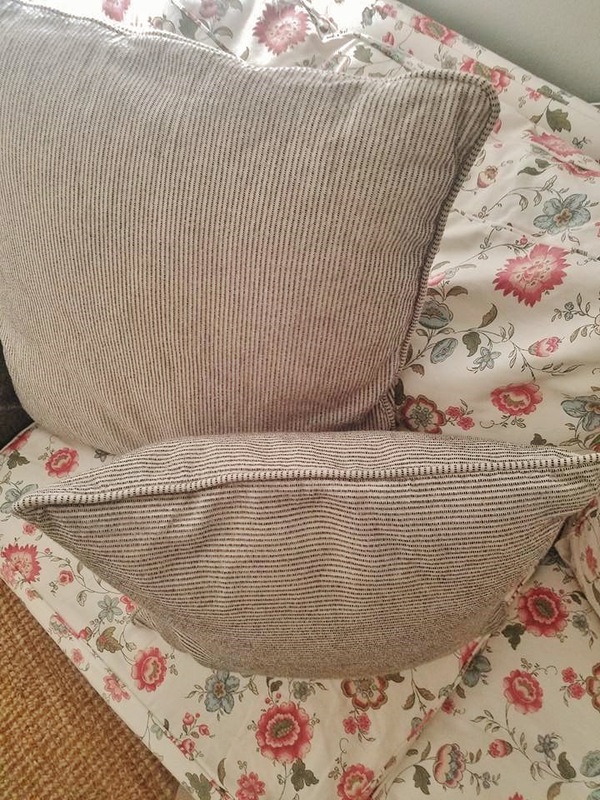 I went out on a limb a few weeks back & bought this floral slipcover - HERE - & fell in love with the pops of granny chic color with still having that bit of cottagey charm! I think with the right accessories floral & color can still be farmhousy/ cottage & cozy, and not overwhelming or tacky ha! What do you guys think about these simple tips for summer? 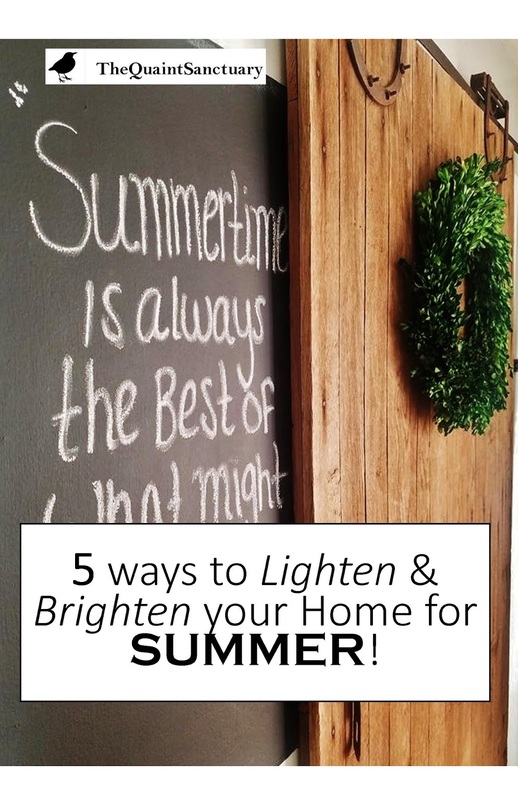 I'd love to know how you guys add summer charm to your home or get ready for the warmer months? !